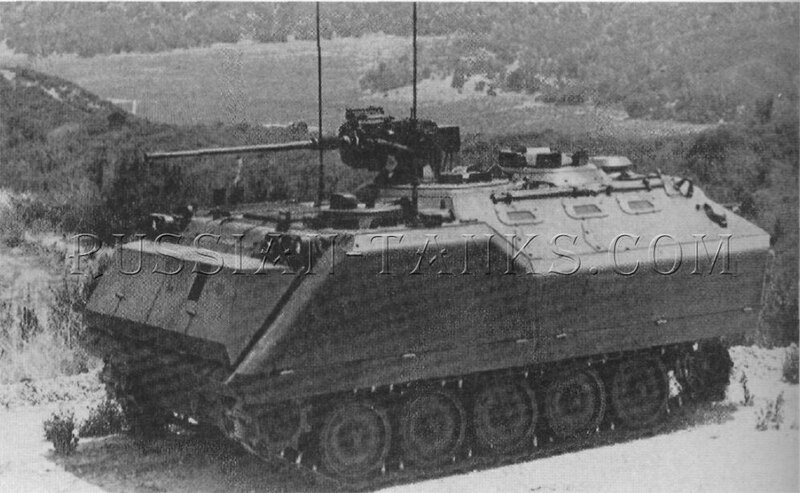 Based upon the lessons learned with the XM765, a new prototype was built by FMC during 1970. 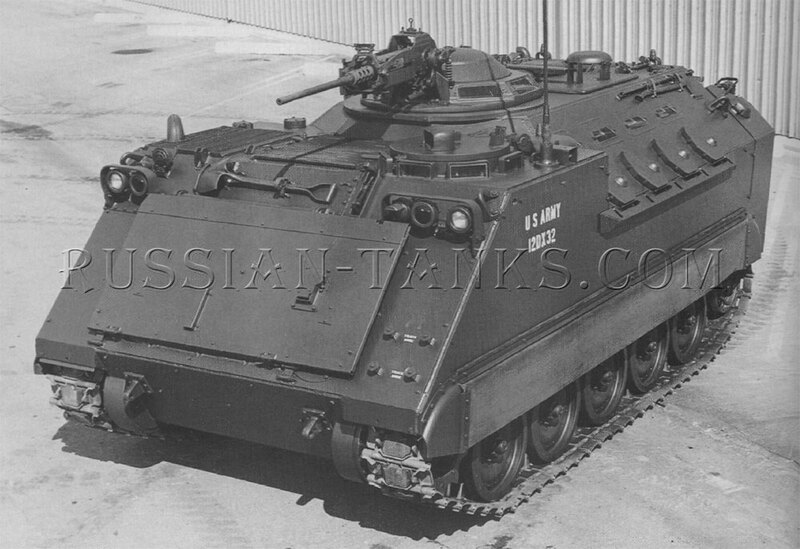 Referred to as the product improved (PI) M113A1, it was powered by the turbocharged 6Y53T diesel engine developing 260 gross horsepower. A new torsion tube-over-bar suspension increased the road wheel travel improving the cross-country performance. 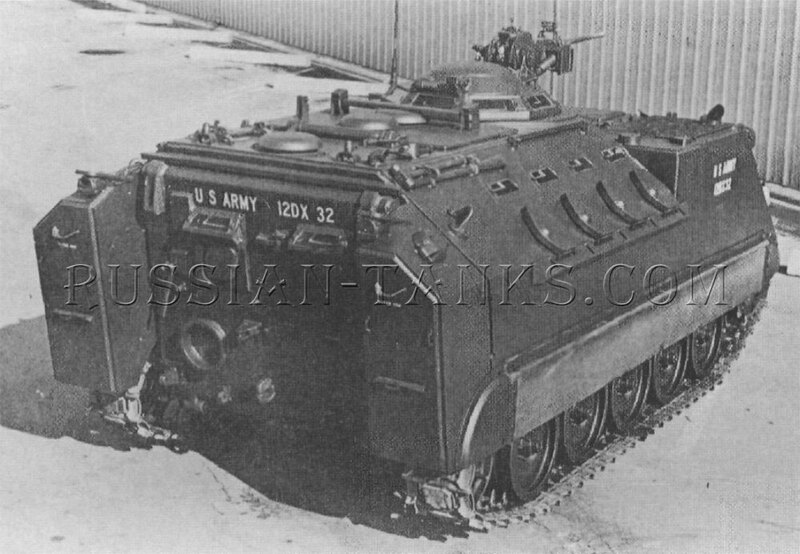 Lightweight bolt-on armor increased the protection over that of the M113A1. Polyurethane foam inside this spaced laminate steel armor increased the displacement to maintain the vehicle flotation in water. A high displacement trim vane also was installed. 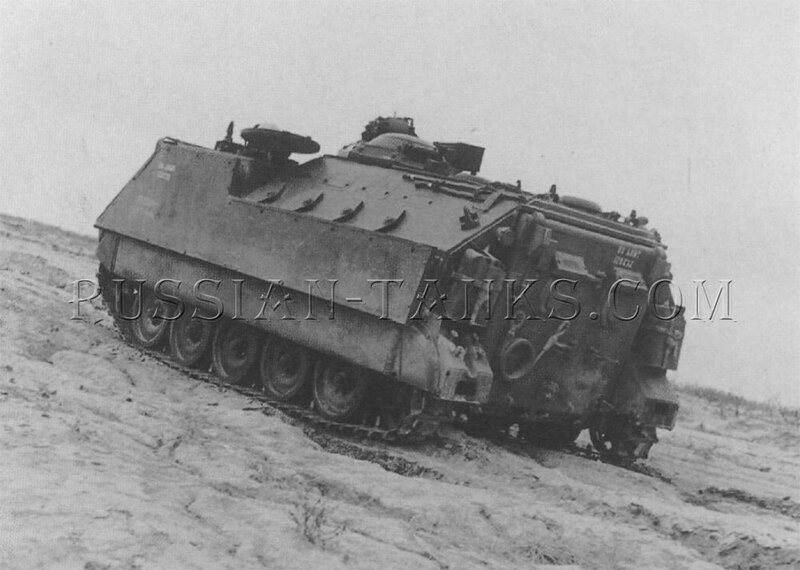 The driver remained in his usual position in the left front hull with four periscopes around his hatch. A low silhouette weapon station, operated from inside the vehicle, was installed in the center of the roof just behind the power plant compartment. 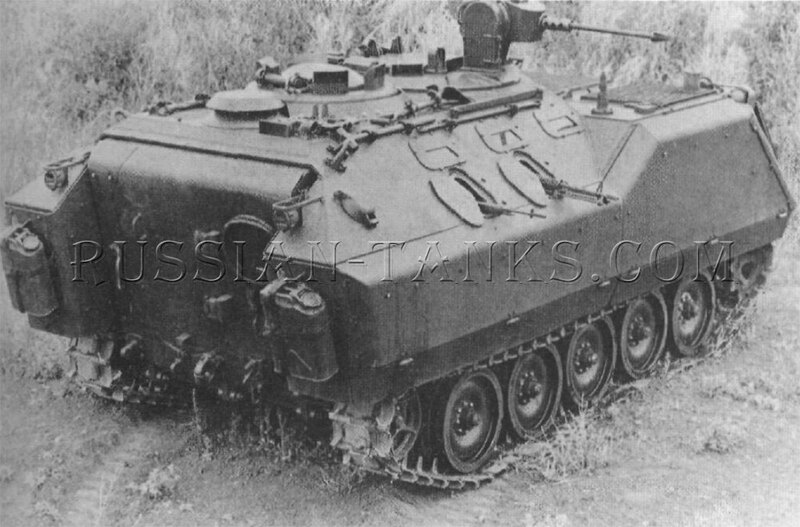 It was either a manually operated mount with a .50 caliber machine gun or a power operated station fitted with a 20mm gun Ml39. 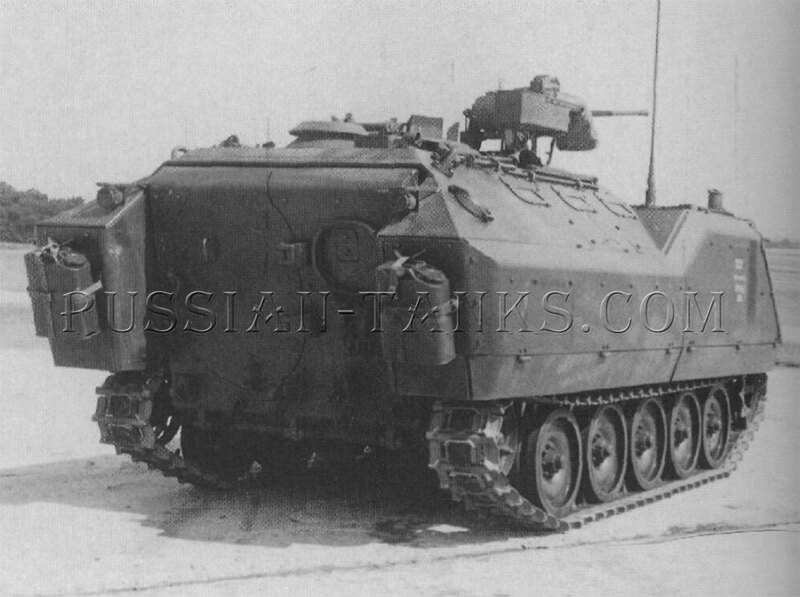 The gunner in this station was provided with a unity/6 power periscopic monocular sight and seven M27 periscopes. The vehicle commander was located under a cupola in the center rear of the vehicle just behind the weapon station. His cupola was equipped with a 6 power binocular sight and four wide angle, unity power, periscopes. 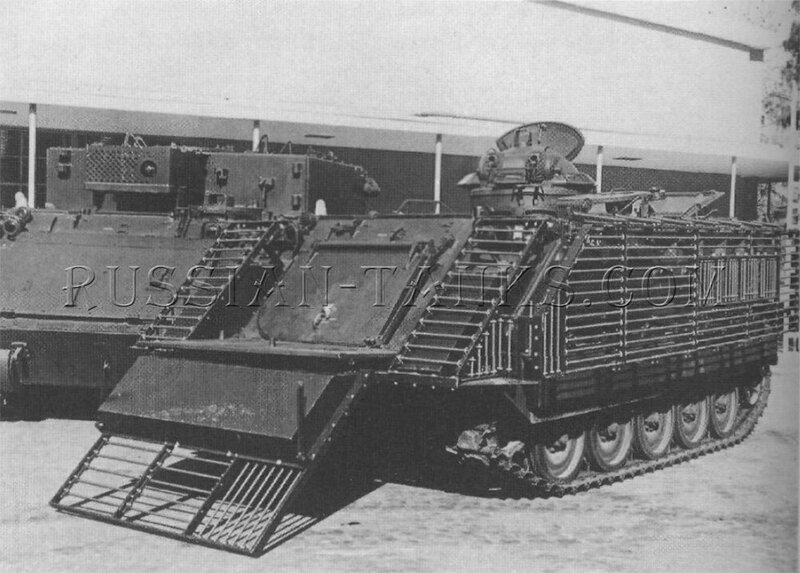 The commander's forward view was blocked only to a limited extent by the weapon station. Individual seats were provided for ten men with four on each side and two in the center. Three vision blocks and two firing ports were installed on each side of the hull. Experience with the XM765 had shown that no more than two men could fire from each side without interfering with each other. A single firing port was located in the right side of the rear ramp and a periscope was installed in the hull roof above this port. A personnel access door was located in the left side of the rear ramp. 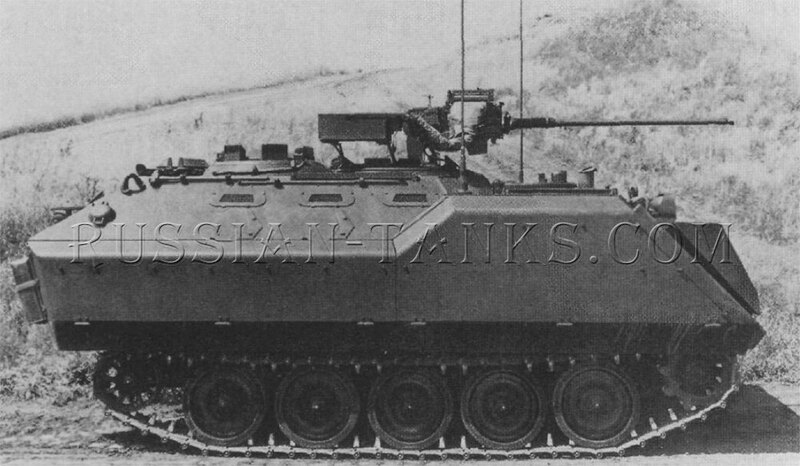 The external fuel tanks were mounted on the hull at each side of the ramp. 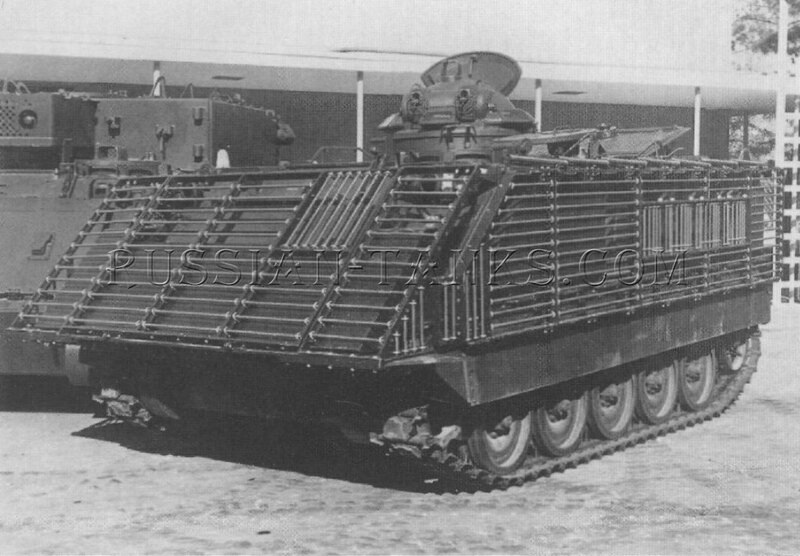 The PI M113A1 was developed as a private venture by FMC and four were ordered for evaluation by the Royal Netherlands Army. 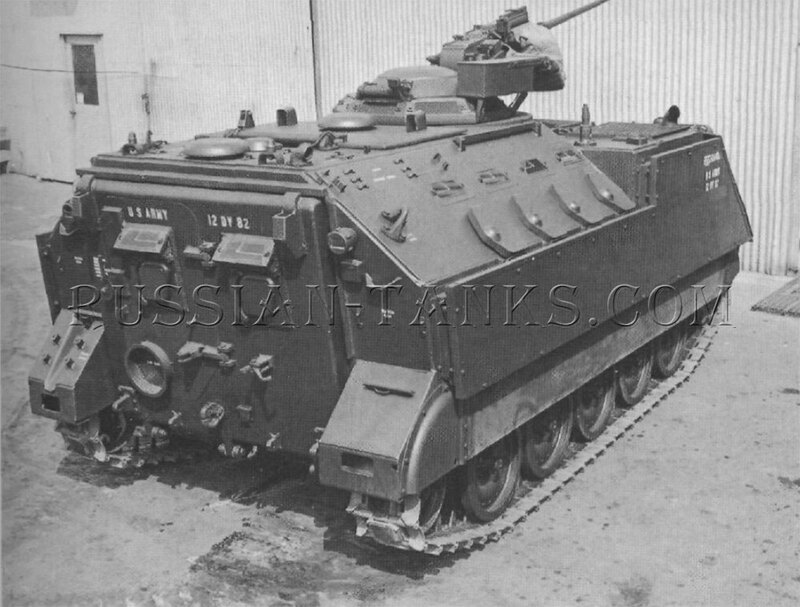 Delivered in 1974, they were tested extensively to determine the modifications necessary to meet the Dutch requirements. These changes included shifting the weapon station to the right side of the vehicle and relocating the commander alongside it just behind the driver. 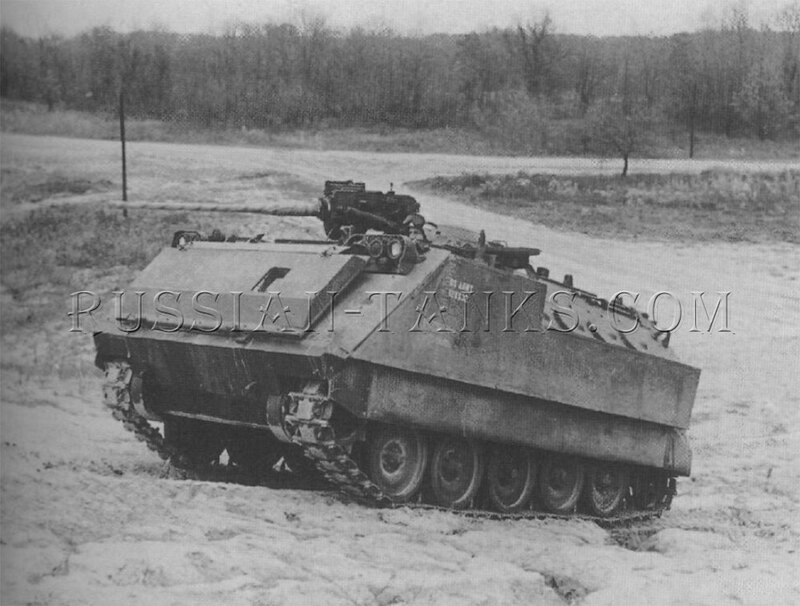 The driver had four M27 periscopes around his hatch and one Type UA9630 universal passive periscope for night operations. The comber's cupola was slightly raised to permit forward vision over the driver's station. 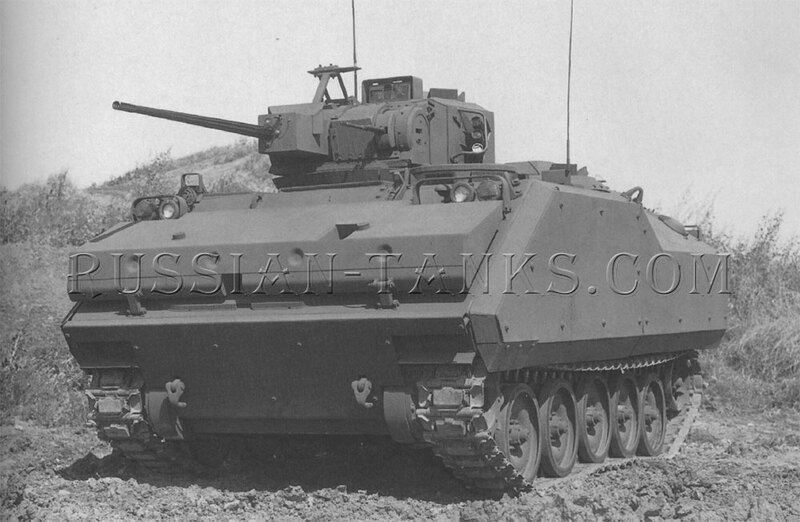 It was equipped with four M17 periscopes and one M20 or M20A1 periscope. 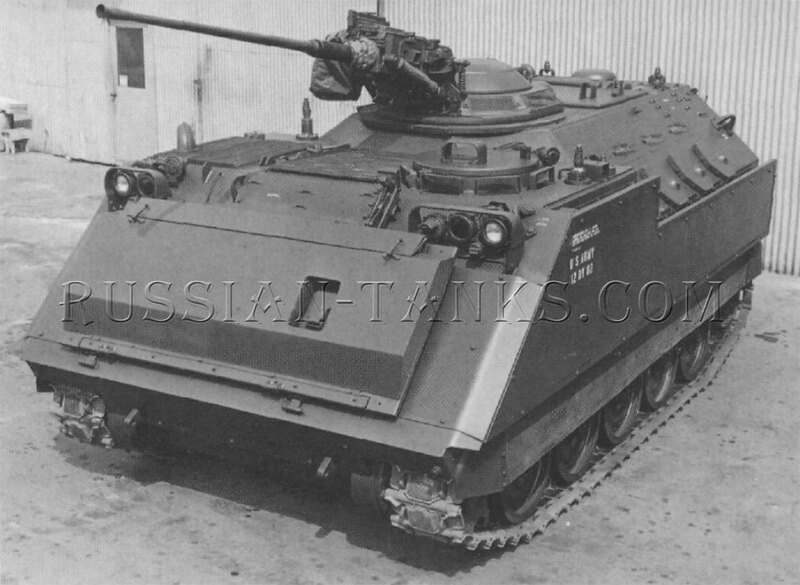 Now referred to as the armored infantry fighting vehicle (AIFV), it was armed with the 25mm Oerlikon KBA cannon coaxial with a 7.62mm MAG machine gun in a one man turret. 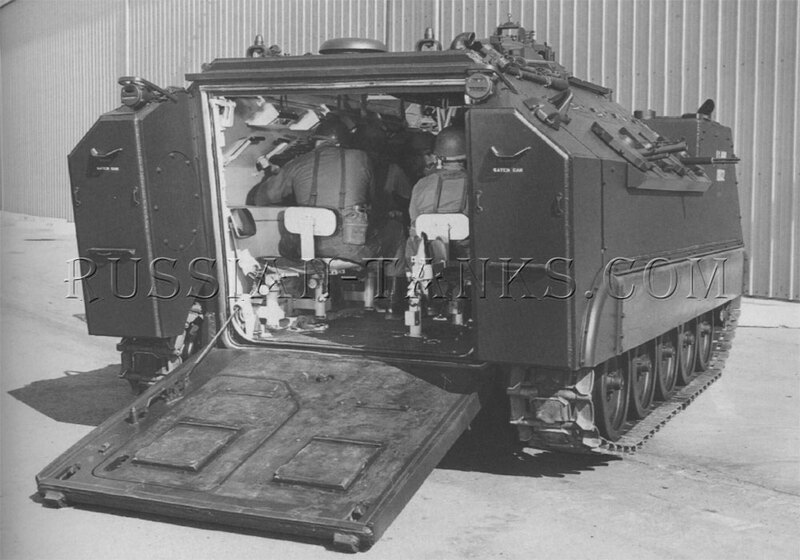 The latter also was referred to as the enclosed weapon station (EWS). 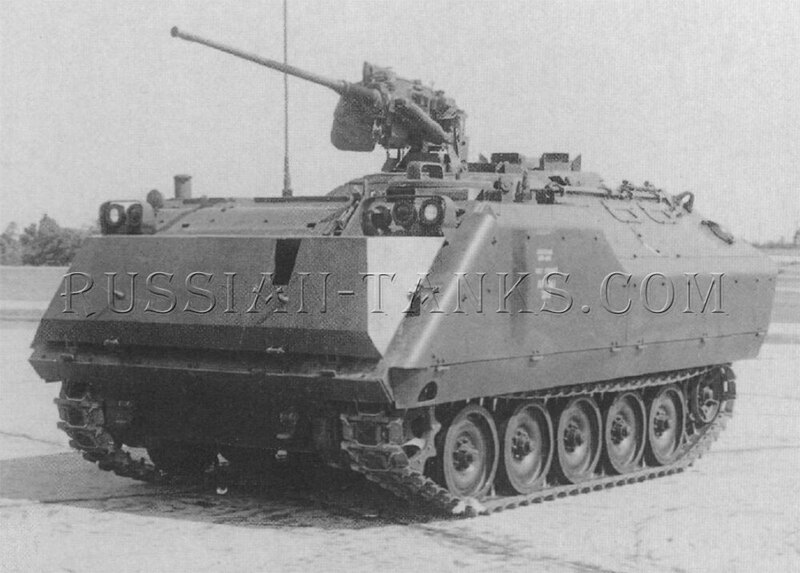 The Rlieinmetall RH202 20mm gun was offered as an alternate weapon. The gunner was provided with a Phillips sight, an open antiaircraft emergency gun sight, and a 150 watt infrared/white searchlight. 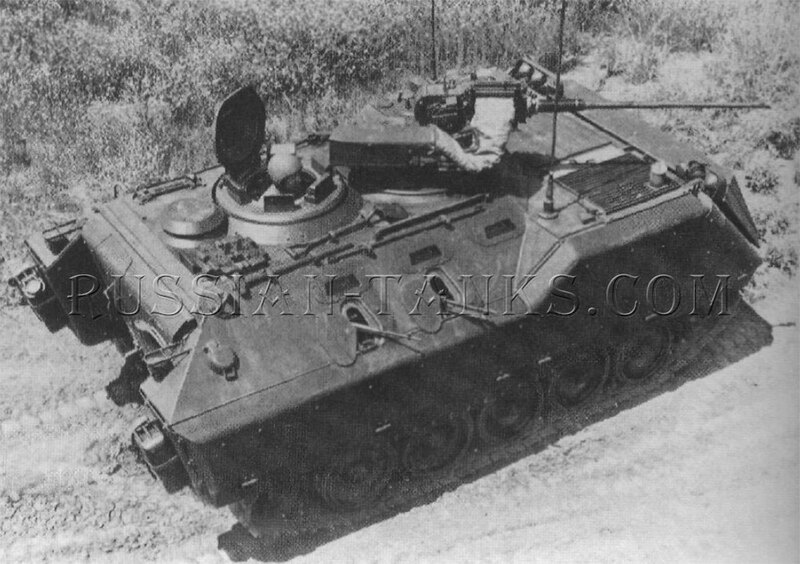 He had four M27 periscopes in the weapon station. 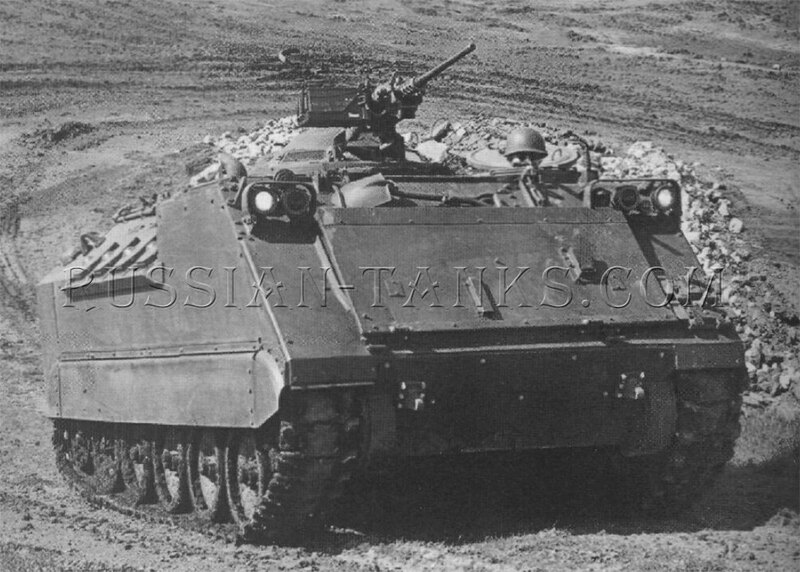 With a ten man crew, the combat loaded weight of the AIFV was 30,175 pounds (U.S. Army). 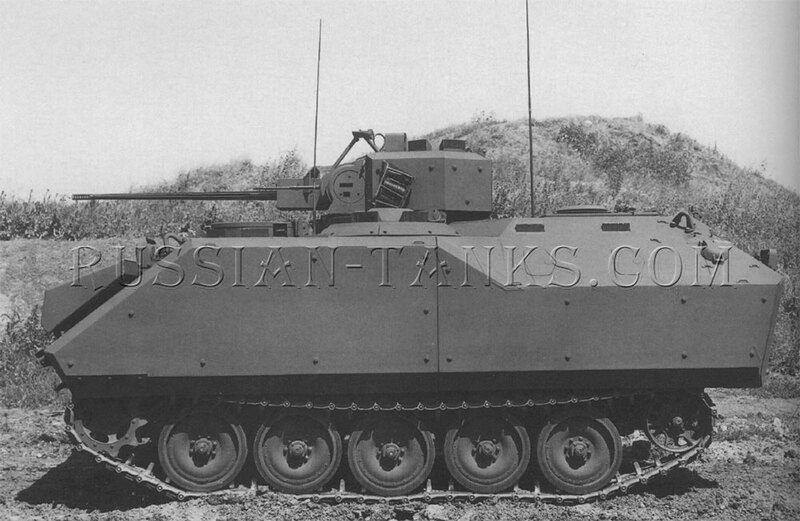 Two firing ports and two M17 periscopes were installed in the sloped armor on each side. 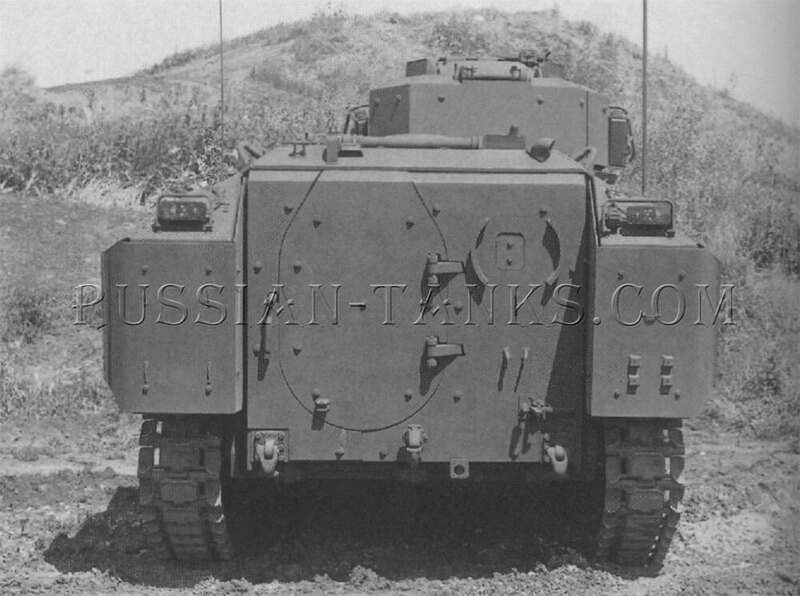 An additional firing port was located in the right side of the rear ramp. Later, it was relocated to the personnel door in the left side of the ramp. 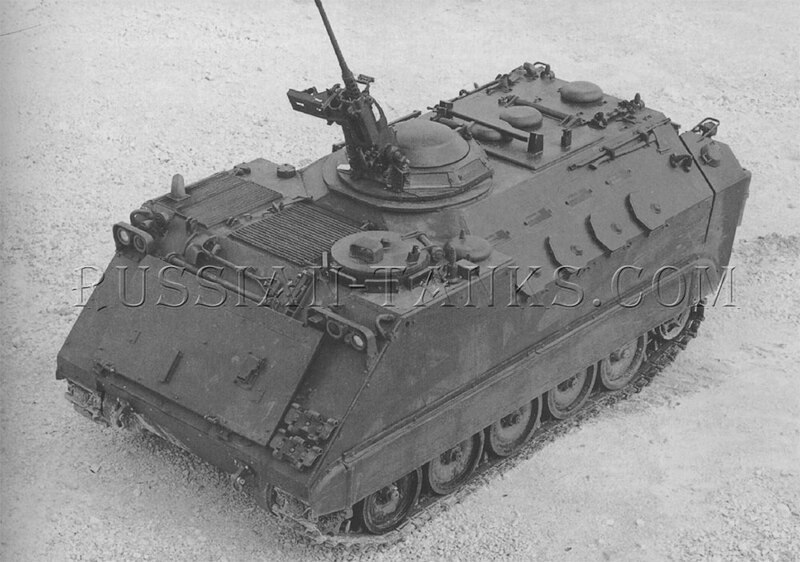 An M27 periscope was mounted in the hull roof above the rear firing port. The usual cargo hatch was installed in the hull roof behind the weapon station and the commander's cupola.